This month, let's explore the top SEO tools that will undoubtedly increase both the efficiency and effectiveness of current and future marketing campaigns! When you hear someone mention SEO, chances are that the first tool that will come to mind is the crowd favorite, SEMrush. This is an undoubtedly powerful tool, and one we currently have had in our arsenal for a few years. With every update, this tool just keeps getting better, and new features are constantly being added to improve its performance. One of the latest, (and one of our most favorite,) updates included a feature called the Keyword Magic Tool. As you can see in the screenshot above, simply type in a phrase and the tool will present you with short and longtail keywords, along with their volume and keyword difficulty. SEMrush offers a free trial to their tool, which you can access here. 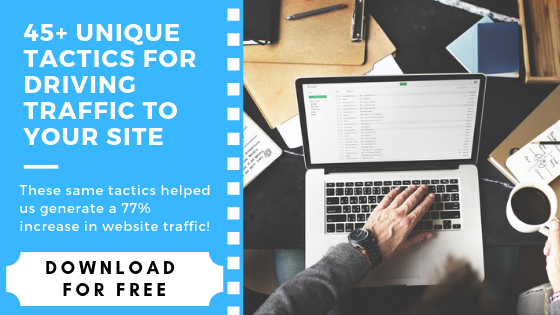 Whether you're a content creator, marketer, or a business owner, this is definitely a tool that can offer valuable insight that can help grow your business online. While doing research for this post, Moz was constantly among the top most used SEO tools used by professionals. Out of the many reviews and tests we went through, it would seem that the tool is exceptionally responsive to Google’s algorithmic changes which is great for attaining a competitive edge at a time where most are scrambling. The tool’s chat portal was also very easy to use and was a pleasant surprise, especially if you need immediate help with an issue or a question. 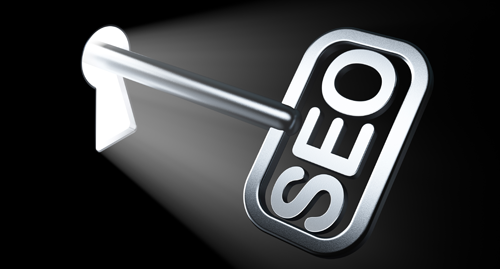 SEOQuake can easily be considered one of the best free SEO tools out there. All you have to do is install the extension to Google Chrome and you’re set. SEOQuake essentially performs on-page site audits, assesses both your internal and external links, and can compare domains. 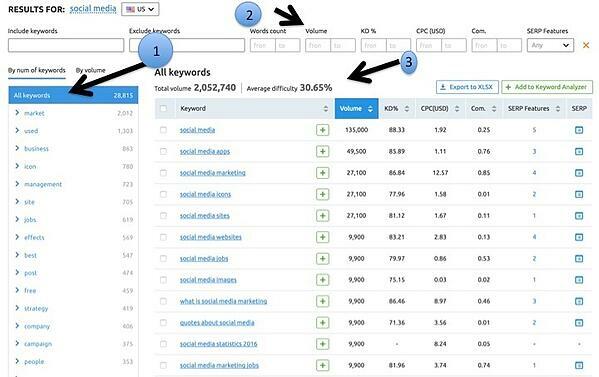 Moreover, you can view detailed traffic analytics such as sources, or analyze a domain’s keyword density. What is even better, is that all the information you want to see is exportable, and is displayed in an easy to read dashboard with a simple click of a button. 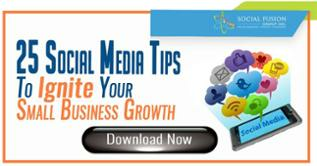 All in all, this is a very useful tool any marketer should include in their arsenal. 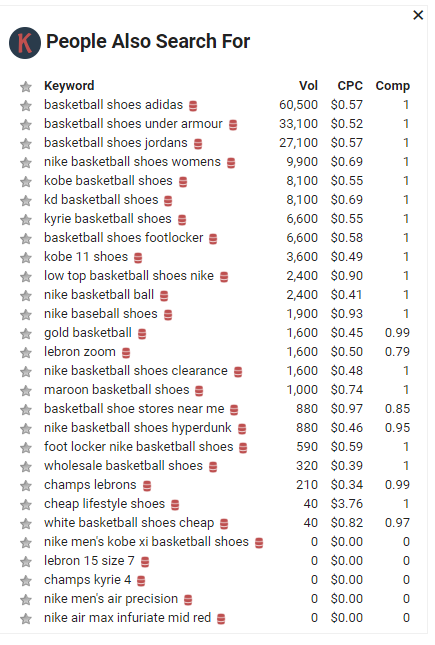 Keywords Everywhere is another great SEO Chrome extension that we recently came across. This tool can help you find the best keywords by aggregating data from other highly capable SEO tools such as Google Search Console, Google Analytics, Google Trends, and more. It can help you generate keyword ideas, as well as give you useful information regarding relevant longtail keyword volume, difficulty, and cost per click right next to the search results on Google. Furthermore, if there is a particular longtail that interests you, all you need to do is click on it and you will be directed to a page that analyzes that particular keyword in more depth along with its alternatives. Lastly but certainly not least on our list, is Linkody. This is quite different from the tools above, in that it focuses solely on one (and arguably one of the most important) aspect of SEO, backlink analytics. While yes, the rest of the tools on this list offer such information, Linkody performs much better, and at a much lower cost. This makes it an ideal choice for those who want a tool that emphasizes on backlinks only, without other SEO marketing features such as keyword and PPC analytics. See this tool more as "masters of a trade" rather than a "jack of many trades." In-depth backlink monitoring and analytics, providing information on new, and lost backlinks, as well as historical data for previous weeks, months, and years. 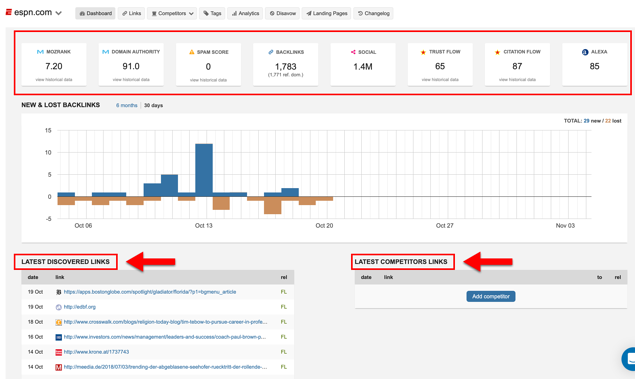 Insight on your competitors' link building strategies, as well as new links they have acquired. Finally, the best part of Linkody is the vast amount of metrics at your fingertips. These metrics include: Mozrank, Domain/Page Authority, Spam Score, Social Shares, IP, Hosting Country, Top-Level-Domain (TLD), External links, Alexa, Follow/Nofollow, Anchor Text, and more! To give Linkody a shot, click here for a free trial! As with most tool related articles we tried to keep this one short and concise as there are a plethora of tools out there to choose from. Do you have any questions? Is there a tool you wish for us to dissect in more detail? Let us know in the comments!